It is quite obvious that training help pets to become well-mannered and disciplined. But more than this training improves the mental ability, smartness, and health of the dog. 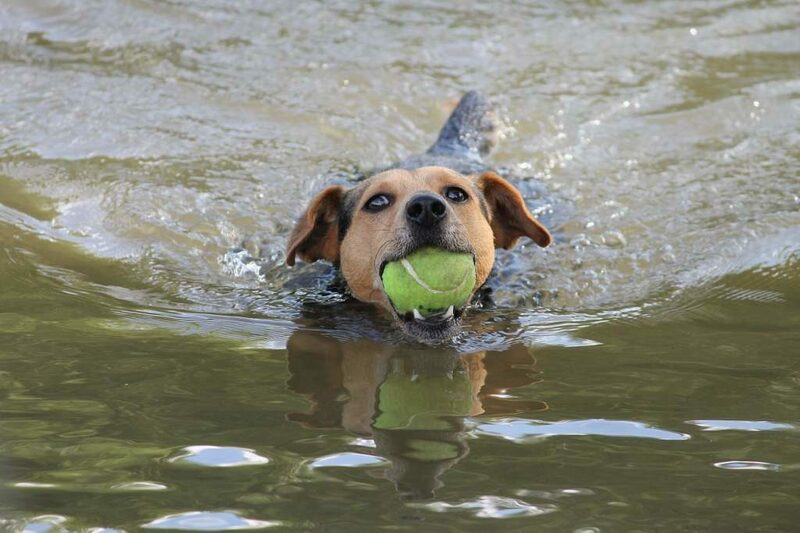 Besides, dogs love to play and training can be a great fun for them, if done in an enjoyable way. Here are few tricks that your dog can easily learn and make you feel proud among your friends and neighbors. Get your dog to lie down with his belly touching down then, give him a treat. Move your hand slowly behind your dog’s neck. Your goal is to get your dog to turn its head backward without standing up. Then, as its head reaches back to sniff the treat, gently roll it over. As soon as your dog rolls over, give him the treat and praise him enthusiastically. Repeat the process, as he start to roll over, say the command “ROLL” when, he goes completely over, treat and praise him again. Do this for 5 to 10 minutes. Slowly your dog will start enjoying it and will start rolling over on your command. Put your dog in sitting position and reward him with a treat when, he lifts his paw. If he doesn’t lift his paw, then keep doing it yourself and give him treat. Soon he will learn that lifting leg is a way to get rewarded. Next time give him treats only when he raises the leg a bit higher and so on. Also, add the word “HIGH FIVE” or “SHAKE HAND” every time so that he learns the command. Training a dog to waive or say goodbye is a simple, funny and cute to learn. Once, your dog learns high-five it is easy to train him to wave just by giving some more treats and a bit of regular practice. It looks so adorable when your pooch start waving his paw to welcome you when you enter the home or to goodbye you when you leave the house. It can be taught easily because dogs have the natural tendency to bow as it is a gesture of invitation to play. To turn it into a trick simply say “TAKE A BOW” or any other command and add it with a reward. In few days dog will start understanding the cue. You can teach this by holding a treat near your dog’s nose and lure him to spin. You can also add variations like spinning in a particular direction. Slowly your dog will learn the difference between left and right and it will be great fun. It is a cutest and lovely trick you can teach your pooch. Just put a little treat on your cheek and say a command like “KISS” or any other word you want. Let him take the treat from your cheeks. Soon your dog will learn to follow the signal, and you will start getting love from your pet when you want. These are few simple and fun tricks you can easily teach your furry baby. While training just keep in mind that you are in a good mood and willing to praise your dog enthusiastically. Don’t stretch the session more than 10 minutes and never show frustration or physical force. Otherwise, you will never get the desired response from your dog. This entry was posted in Behavior & Training and tagged Dog.